A new video from STEMMER IMAGING shows how the LMI Gocator 2 Series 3D smart camera can be set up to carry out profiling of rubber seals to show if they are properly seated. The demonstration shows 3D profiling of rubber seals in polybutylene pipe of the type used extensively in plumbing applications. The Gocator’s laser line is scanned perpendicularly across the rubber seal to allow a profile of the rubber seal to be acquired by the software. 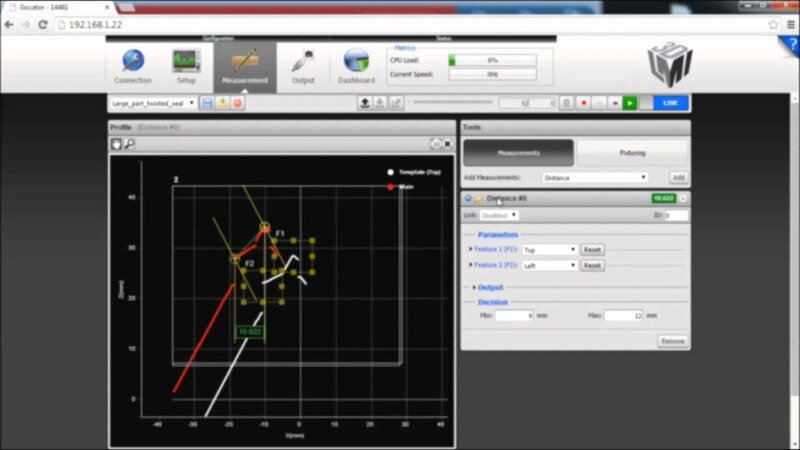 The video shows how a fixturing tool can be set up to track part movement and make a valid measurement. The distance of the seal from the edge of the pipe can be measured within user-defined minimum and maximum limits. With the fixture and measurement tools running, the pipe rotated about its central axis, to allow measurements to be made of the complete seal. The video also shows how the system is able to detect an incorrectly seated rubber seal. With its integrated laser source and optics, the LMI Gocator is factory pre-calibrated to simplify setup and provide consistent, reliable measurements in real-world coordinates, even in applications where temperature variation might be expected to introduce measurement errors. A powerful suite of built-in measurement tools turns live 3D profiles into real-time measurements. A simple point and click GUI allows single or multiple measurement tools to be selected according to the application requirements.